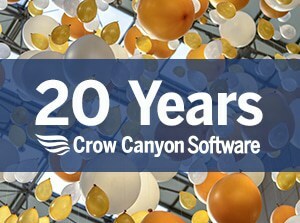 Crow Canyon Software, a global software company based in the Bay Area of California, has opened its East Coast office in downtown Wakefield, Rhode Island. It will host an Open House Thursday, August 3rd to celebrate the opening of the office. Crow Canyon provides business solutions based on the Microsoft SharePoint and Office 365 to customers worldwide. Its customers include financial, healthcare, educational, government, non-profit, military, and electricity generators. The company has solutions that automate help desk, customer support, asset management, work orders, onboarding, purchasing, and many other common business processes on the SharePoint and Office 365 platforms. It also does many custom software development projects.